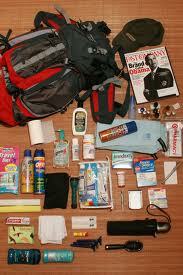 Home > > Travel Tips What preparations are needed? Travelling with children can be rewarding if one makes some extra preparations and planning. It is important to plan a pace that accommodates children without hurrying and including frequent food, beverage, and rest stops so that everyone can enjoy the experience. Immunizations: Visit the child`s doctor well before the time of departure to allow a full assessment of the child`s medical status and his need for pre-travel immunizations or medications. Diarrhoea and dehydration: Children, especially infants, are at particular risk of dehydration. Carrying powdered oral rehydration salts ( and an antibiotic for treatment of diarrhoea, motion sickness helps. Sun protection: To prevent sunburn in children, it is important to avoid the sun particularly at midday. One should protect the child by means of protective clothing, and using sunscreen. It is necessary to make sure that children have toys, books, and games that will keep them quietly occupied when necessary. Also, it is wise to carry pictures of your children in case they are lost.